We are proud to provide you with complete preventative medical programs! Our goal is to catch problems early--giving a pet the best chance at a healthier, more comfortable & longer life, while giving owners more peace of mind! 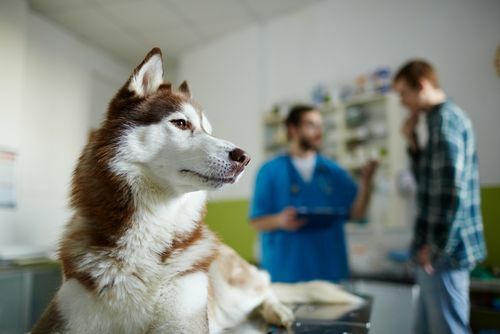 At the same time we are trying to decrease the expense of medicine for pet-owners by reducing the frequency of costly health conditions, that if left unnoticed, could otherwise require surgeries or long term treatments. With the Pediatric Preventative Healthcare Program, we help you budget the preventative medical costs of growing up! Make a commitment to your puppy or kittens preventative healthcare and we'll make a commitment to you with a 25% off discount from traditional booster visits through the purchase of this program. Prevention is a wise investment! Bonuses: Pediatric Wellness Patients receive free exams and rechecks for 6months, 10% off of examination fees throughout the rest of the year, $3.00 off per night when boarding, spay/neuter discounts, and many other discounted medical and pet care services.